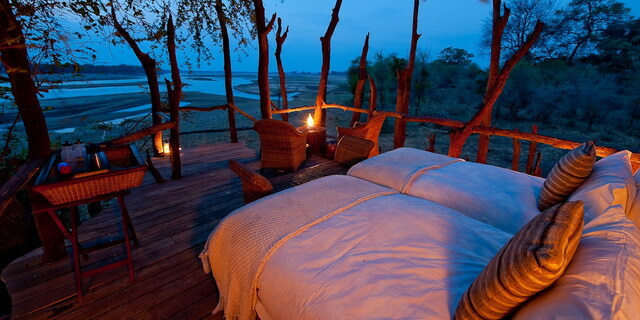 A A A Home › Property Portfolio › Experiences › Wilderness "Sleepouts"
For many travelers, tented safari camps offer the best of all worlds - all the creature comforts of a real room (including full size beds, hot and cold running water, flush loo, handbasin, etc. ), but minimal separation (in the form of a thin canvas wall) from the surrounding wilderness. 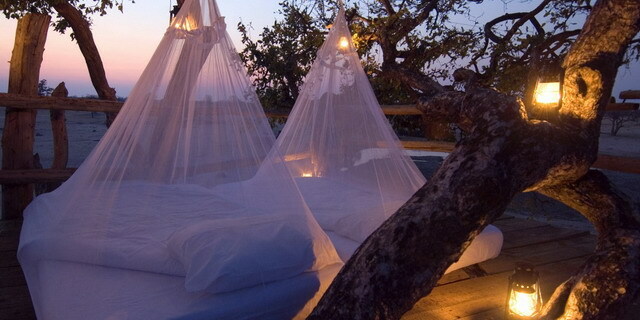 But it's not uncommon for some travelers to want to experience an even closer connection to the African bush, albeit for just a night or two. 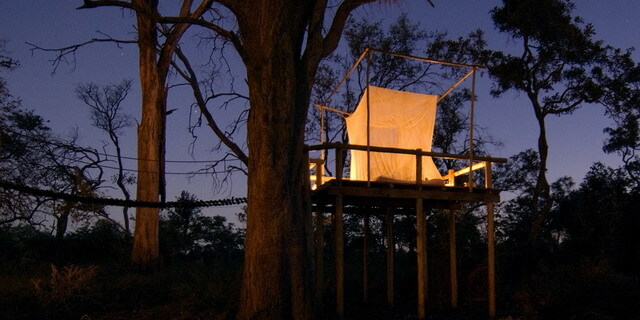 In response to such requests, several safari camps have developed the concept of wilderness "sleepouts", providing guests the opportunity to leave behind most trappings of civilization and spend an unforgettable night (or two) literally sleeping under the stars in a tree house platform, or in a dome tent on the banks of a meandering river. 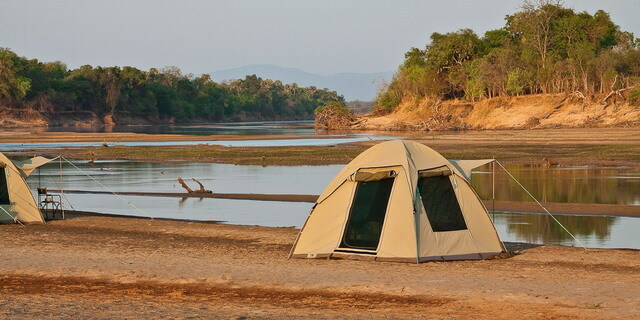 The exact arrangements differ from camp to camp, but the concept is the same: to provide the most unadulterated wilderness experience that Africa has to offer, without compromising guest comfort or safety. Guests on a wilderness sleepout are accompanied by their guide and, during the daytime, they participate in the regular camp activities and meals.